Za’Darius Smith, OLB (Packers): Four years, $66MM. $20MM guaranteed. $20MM signing bonus (Twitter link via Aaron Wilson of the Houston Chronicle). Ja’Wuan James, T (Broncos): Four years, $51MM. $32MM guaranteed. $12MM signing bonus (Twitter link via Wilson). Steven Nelson, CB (Steelers): Three years, $25.5MM. $7.5MM guaranteed. $7.5MM signing bonus (Twitter link via Wilson). Cameron Wake, DE (Titans): Three years, $23MM. $9.75MM guaranteed. $4MM signing bonus. (Twitter link via Wilson). Latavius Murray, RB (Saints): Four years, $14.4MM. $7.2MM guaranteed. $3.4MM signing bonus (Twitter link via Wilson). Spencer Pulley, C/G (Giants): Three years, $8.025MM. $2.325MM guaranteed. (Twitter link via ESPN.com’s Jordan Raanan). Eric Rowe, CB (Dolphins): One year, $3.5MM. $500K signing bonus. (Twitter link via Wilson). Ryan Griffin, QB (Buccaneers): Two years, $2.9MM. $450K signing bonus. (Twitter link via Greg Auman of The Athletic). Deone Bucannon, LB (Buccaneers): One year, $2.5MM. $1.45MM guaranteed. (Twitter link via Wilson). Brett Hundley, QB (Cardinals): One year, $1.875MM. $750K guaranteed. (Twitter link via Wilson). Adrian Amos, S (Packers): Four years, $37MM. $12MM fully guaranteed. $11MM signing bonus. Roster bonuses and Pro Bowl escalators beginning 2020 (Twitter link via Adam Jahns of the Chicago Sun-Times). Justin Coleman, CB (Lions): Four years, $36MM. $16MM fully guaranteed. $10.1MM signing bonus. Steven Nelson, CB (Steelers): Three years, $25MM. $7.5MM signing bonus. $3MM roster bonus in 2020 (Twitter link via Terez Paylor of Yahoo Sports). Cordarrelle Patterson, WR (Bears): Two years, $10MM. $5MM fully guaranteed. $2MM signing bonus. Per-game roster bonuses available in 2019-20 (Twitter link via Jahns). James Carpenter, G (Falcons): Four years, $21MM. $7.25MM fully guaranteed. $9MM overall guarantee (Twitter links via Ian Rapoport of NFL.com and Rich Cimini of ESPN.com). Jamon Brown, G (Falcons): Three years, $18.75MM. $12.75MM guaranteed (Twitter link via Rapoport). Preston Brown, LB (Bengals): Three years, max value of $21MM (Twitter link via Tom Pelissero of NFL.com). Not usually big spenders in free agency, the Steelers are authorizing a mid-level deal to help their secondary. Pittsburgh agreed to terms with Steven Nelson, Ian Rapoport of NFL.com tweets. The four-year Chiefs cornerback will receive a three-year, $25.5MM pact. Nelson figures to be in line to make a strong run at the starting corner job opposite Joe Haden. While this is not a high-end cornerback contract, it is one of the biggest free agent deals the continuity-centric Steelers have ever finalized. The Steelers’ Artie Burns pick has not gone as the franchise had hoped, with the 2016 first-round selection having been benched last season. Nelson had a much busier season, being picked on often. But the 2015 third-round pick intercepted four passes — the first four of his career — and was a constant in the Chiefs’ secondary. Nelson, 26, did not play much as a rookie but emerged as Kansas City’s slot defender in 2016. After an injury-delayed 2017, Nelson moved outside and worked in that role last season. Pro Football Focus graded Nelson as the No. 33 corner last year. He will join Haden in comprising a free agent tandem at corner for the draft-and-develop organization, with undrafted free agent Mike Hilton likely to continue to work in the slot. Haden has one season remaining on his three-year, $27MM contract. One interesting side effect from this agreement: it may well affect the Steelers’ compensatory pick for Le’Veon Bell. The All-Pro running back’s next deal is not known, but OverTheCap’s Nick Korte projects (via Twitter) that if Bell signs for less than $11MM per year, the Steelers’ compensatory pick for him will drop to a fourth-rounder because of this Nelson deal. Chiefs Considered Trading Steven Nelson? The Chiefs traded away top cornerback Marcus Peters last week, but the club also considered dealing another defensive back in Steven Nelson, according to Ian Rapoport of NFL.com (video link). It’s unclear if Kansas City was choosing between a Peters or a Nelson trade, or if a deal involving Nelson could still come to fruition. The Chiefs had been shopping Peters for more than three weeks, tweets Terez A. Paylor of the Kansas City Star, so the club could have been discussing Nelson swaps during that period, as well. Whether or not Nelson is dealt, the Chiefs’ defensive backfield figures to undergo significant change this offseason. Peters and Darrelle Revis (who was recently released) won’t be back in 2017, while Terrance Mitchell, Phillip Gaines, and Kenneth Acker all are scheduled for unrestricted free agency. It hasn’t been all subtractions for Kansas City’s secondary, however, as the club did acquire cornerback Kendall Fuller as part of the Alex Smith trade and ink ex-Raiders cornerback David Amerson to a one-year deal. Nelson, 25, has been an above-average corner for the majority of his three-year career. In 2017, Nelson didn’t come off injured reserve until October while dealing with a core muscle ailment, but became a starter immediately upon his activation and graded as the league’s No. 62 corner among 121 qualifiers, per Pro Football Focus. The year prior, Nelson finished 36th among 84 cornerbacks in Football Outsiders’ success rate. A third-round pick out of Oregon State in 2015, Nelson has one season left on his rookie contract. Thanks to the NFL’s proven performance escalator program, Nelson will earn a base salary of $1.908MM during the upcoming campaign. If one of these thresholds is met, the player’s salary is elevated to the level of that year’s lowest restricted free agent tender — that figure should be around $1.908MM in 2018. Players selected in the first or second round, undrafted free agents, and kickers/punters are ineligible for the proven performance escalator. 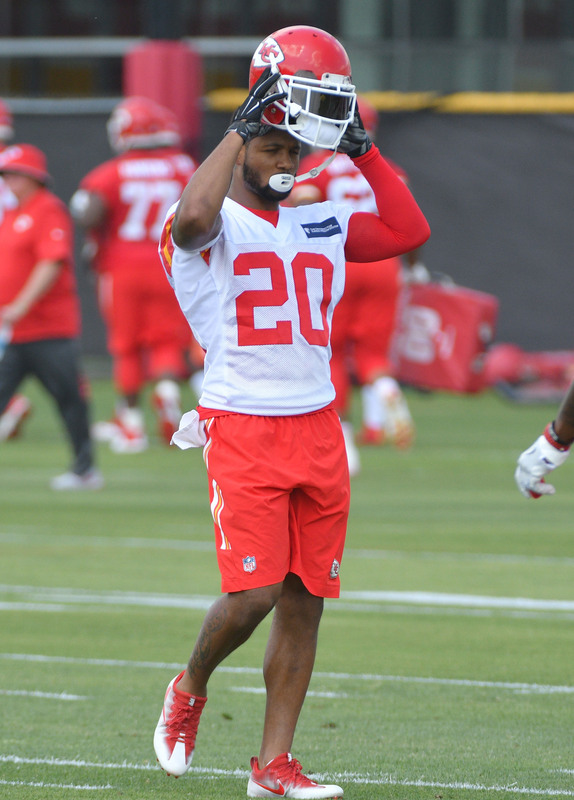 The Chiefs announced that they have activated cornerback Steven Nelson off of injured reserve. Kansas City first decided to bring Nelson back last week, but it’s now official. A core muscle injury sidelined Nelson in the summer, forcing KC to park him on IR for the first two months of the season. Now that he’s served his time, the Chiefs are using one of their two IR-DTR spots to bring him back. Nelson, 24, started for the Chiefs last season and he could slide back into his old job rather quickly. Terrance Mitchell has filled in as a starting corner for Kansas City, but he’s struggled (No. 85 CB per Pro Football Focus), so Nelson would be the obvious choice to take over, provided that he is near 100% healthy. Last year, Nelson played 90% of Kansas City’s defensive snaps opposite Marcus Peters. In his 15 games (14 starts), he had 64 tackles, two fumble recoveries, and 16 passes defensed. The 5-2 Chiefs will face the Broncos on Monday night. If they win, they’ll enter a three-way tie with the Patriots and the Steelers for the top record in the AFC. The Chiefs intend to bring cornerback Steven Nelson off injured reserve, according to Terez A. Paylor of the Kansas City Star (Twitter link), who reports Nelson’s status has been changed to reserve/injured with a designation to return. 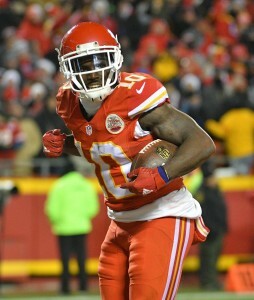 Nelson suffered a core muscle injury during the summer, but the Chiefs placed him on their initial 53-man roster instead of putting him on IR before final cutdowns. That maneuver now allows them to bring Nelson back, and that’s been the plan all along. Nelson, 24, was full-time starter during the 2016 campaign, as he played 90% of Kansas City’s defensive snaps opposite Marcus Peters. Nelson’s return should buoy a Chiefs defense that ranks just 21st in DVOA and 17th in passing defense DVOA. Terrance Mitchell has filled in as a starting corner for Kansas City, but he’s struggled (No. 81 CB per Pro Football Focus), so it shouldn’t be surprising is Nelson immediately slides back into his old role. Mitchell and Phillip Gaines should be used more sparingly once Nelson returns. NFL rules now allow clubs to bring two players back from IR, but the Chiefs don’t have any other options at present to designate as return players. Safety Eric Berry, running back Spencer Ware, wide receiver Chris Conley, and defensive back Ashton Lampkin all suffered season-ending injuries that won’t allow them to return in 2017. Despite the Broncos fearing multiple severe injuries for left tackle Garett Bolles, the rookie suited up for practice on Thursday and has a chance to play against the Bills. Vance Joseph (via Nicki Jhabvala of the Denver Post) said the team thought Bolles’ injury, determined to be a bruise on his lower left leg, was more serious than it ended up being. Joseph said the first-round pick is “getting better fast” but is obviously hesitant about proclaiming him ready to return to the starting lineup. Bolles has fared well in his first two games, prior to being carted off in the third quarter of the Broncos’ Week 2 win. Bolles said he also “thought it was serious” and will not rush back. Denver’s bye comes in Week 5, so holding Bolles out for two games would make sense. But his return to practice, on a limited basis, so soon bodes well for a possible return against the Bills or Raiders before the week off. Donald Stephenson initially received the call to replace Bolles at left tackle Sunday, but utility man Allen Barbre ended up seeing more time there. Barbre and Max Garcia were alternating at left guard, but the veteran played tackle with the Eagles at times in recent years and provides versatility if the Broncos aren’t keen on throwing Stephenson — whom they replaced at right tackle in free agency with Menelik Watson — back out there. Bolles represents the fourth left tackle starter in four seasons for the Broncos, who have also seen numerous players line up with the first-stringers on the right edge in that time. Here’s more from the Western divisions prior to tonight’s NFC West matchup. Deone Bucannon‘s lengthy recovery from an ankle injury, one he re-aggravated just before Week 1, could produce the Cardinals inside linebacker returning to action in Week 3, Kent Somers of the Arizona Republic notes (on Twitter). Bruce Arians said (via Josh Weinfuss of ESPN.com) Bucannon’s “getting real close” to returning but would be on a snap count if he did so against the Cowboys. The Cards have used Karlos Dansby and first-rounder Haason Reddick as starters while Bucannon’s been out. Bucannon underwent surgery in May. Speaking of injury returns, it sounds like the Chiefs are planning to make cornerback Steven Nelson one of their IR-boomerang players. The third-year corner is eligible to come off IR in Week 9, and Terez Paylor of the Kansas City Star notes that return is likely. For the time being, the Chiefs have gotten by with 2016 practice squad promotion Terrance Mitchell operating as Marcus Peters‘ top complement. However, Pro Football Focus rates Mitchell and Phillip Gaines — the former third-round pick whom Mitchell usurped late last season — as its Nos. 96 and 100 full-time cornerbacks through two games. A core muscle injury sidelined Nelson, K.C.’s primary slot defender last season. Do the Seahawks miss Jermaine Kearse? Seattle’s offense has largely sputtered in its first two games, and Doug Baldwin does see a hole where Kearse — traded to the Jets for Sheldon Richardson — departed. 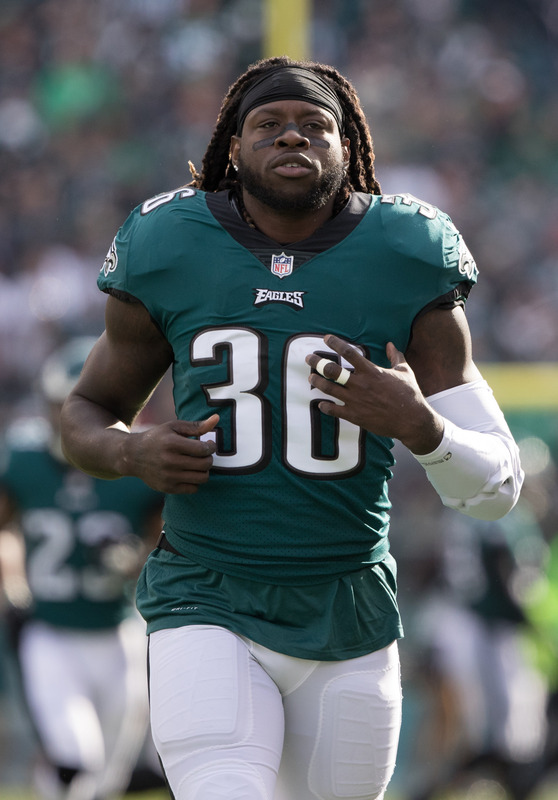 “Specifically on the football field, just the intricacies that he did in our offense, guys aren’t used to doing it, they didn’t have to do them, because Jermaine was so willing and able to do it, now guys are being called to do those things and that is another challenge for us,” Baldwin said, via Bob Condotta of the Seattle Times. Paul Richardson and third-round rookie Amara Darboh are seeing more time, Richardson especially, after Kearse’s exit. Baldwin leads Seattle’s wideout contingent with 107 air yards; no other Hawks pass-catcher has 80.